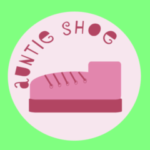 Auntie Shoe Spouts Off - Page 5 of 5 - Designer of stuff. Blogger. Politically blue. Shoes pink.